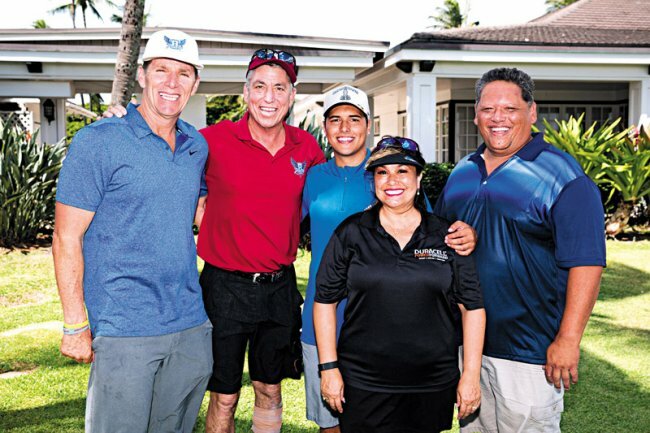 Boy Scouts of America, Aloha Council welcomed golfers to its annual Tee-Up for Scouting, Golf & Cuisine Adventure September 11 at Hawai‘i Prince Golf Club. Aloha Council Boy Scouts of America delivers the promise of Scouting to youth in Hawaii on the island of Oahu, Kauai, and Hawaii, and in the US territories of American Samoa, Guam, and the Commonwealth of the Northern Mariana Islands. Aloha Council has 582 Scouting units chartered by over 300 different community groups that include civic, non-profit, religious, educational and business organizations across the Pacific region. Brad Johnson served in the 169th Aircraft Control & Warning Squadron / 169th Air Defense Squadron, and retired after a long career. His wife Sweetie has had a long association with KSSK radio, especially with Perry and Price, and now Perry & the Posse.